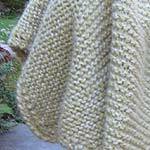 BabyA Blankets: Fabsweaters Gorgeous Line of handknit blankets - with special edge detailing, made of 100% Ultra soft Baby Alpaca: perfect for gifts, special occasions, or just a special way to show you care. 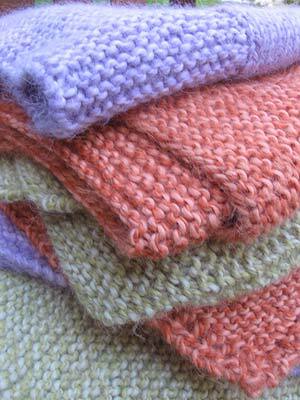 Our very special handknit baby blankets are a crib and stroller perfect 28" square. 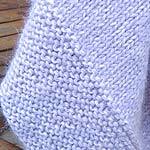 Whether you pick our classic double face wide contrast stitch border or the diagonally knit blanket with an openwork crochet edge - these blankets are the perfect answer to Fall chills and winter freeze - and they make a perfect new baby gift. Our exclusive 100% Baby Alpaca makes them lightweight, but alpacas hollow-core fiber makeup means it's warm and insulating. A wonderful baby shower gift, or just a special heirloom gift for the baby who deserves the very best. Handwash and Lay flat to dry.